Viz Media is bringing the Manga onto tablets and electronic devices! In this day and age, people don’t read books anymore or at least “paper” books. People still read things on electronic devices so what Viz Media decided to do isn’t so far-fetched. They’re bringing the Pokemon Manga into the electronic age with the books coming to several different reading devices like the Nook and Kindle. The Manga will be available on the Nook, Kindle Fire, Kobo e-reader, iBooks Store, and Google Play Store and marks the first time that Pokemon Manga will be readable/buyable in these outlets. Each volume will range from 3.99-4.99 so they are a pretty good deal. You might be asking yourself “what Manga is actually available to read/download?” I’m glad you asked because I’m going to tell you but I would have told you either way, you just beat me to it. Anyway, Pokemon Adventures Vol. 1-14 are available for fans who want to see the Kanto region in addition to Red and Blue’s adventures. You’ll also see what the Johto region has to offer as well as the lives of the other trainers: Green, Yellow, Gold, Silver, and Crystal. Next up is the Diamond and Pearl Adventures (Vols 1-8), which showcase the tale of Hareta, who was raised by Pokemon. Professor Rowan gets him into the Pokemon game and it was the best thing to happen. Speaking of Diamond/Pearl, the next Manga available is Diamond and Pearl/Platinum Adventures which tell the tales of Pearl and Diamond and their bodyguard adventures (Vols 1-4). 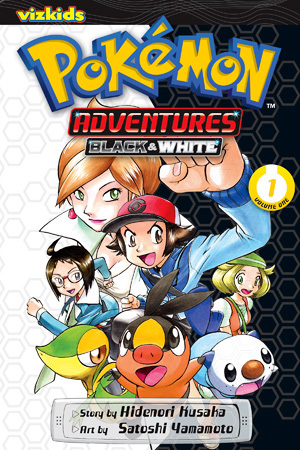 Black and White Adventures (Vols 1-4) showcase trainers Black and White. Black has dreamt of winning the Pokemon League in Unova. White, on the other hand, wants to make her Tepig famous and train a troupe of famous Pokemon. Fans of the Manga will have a lot of reading to do as well as people who get something this Christmas to read on. For those of you that plan on reading some Manga this holiday season, Viz Media is running a sale on digital Manga until January 15th. The sale will be 20% off all digital Manga featured on VIZManga.com and Viz Manga App. This is a wide range of available Manga covering more than 170 different series and 2,000 volumes. If you get some bad weather over the Christmas break, you might be able to put a dent in this large amount of Manga. Enjoy the reading everyone! Details pertaining to the company's first video game release!